The low-cost Mexican carrier announces new flights to Montreal from Cancun and Mexico City, to reach the Canadian travel market. After a year of announcing that it would arrive in Canada in 2017, Interjet finally offers its clients on its website new routes Mexico City – Montreal and Cancun – Montreal, flights that will begin to operate in the second week of July (July 13). At the beginning it was announced by Interjet and several news pages that Toronto and Vancouver could be the destinations to reach with these flights, but Montreal turned out to be the first destination to conquer by this low-cost Mexican carrier, with flights from Mexico City and Cancun. On its website the airline has already announced a one-way travel promotion of $2,819 pesos, taxes included, from Mexico City to Pierre Elliott Trudeau airport in Montreal for an introductory fare, and on a round trip of just under $5,500 pesos. From Cancun the rate that Interjet handles by introduction is $3,270 pesos in a single trip and $6,671 pesos in round trip. 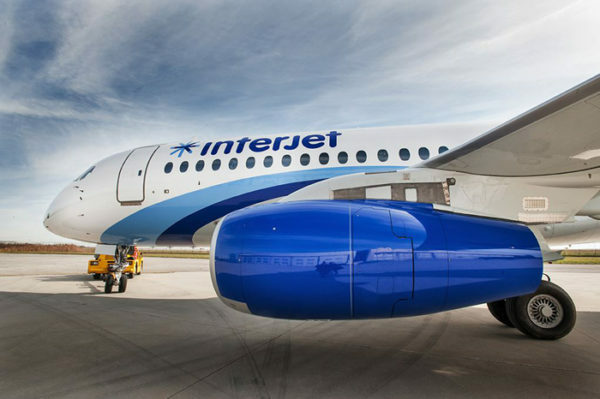 Interjet comes to compete with Aeromexico and Air Canada, for a growing market. Canada is the second most important market for the country and the third for Cancun; from January to July 2016, 1,130,989 Canadians arrived in the country, of which 55% stayed in a hotel in Cancun, that is, 621,746 Canadians. I am flying with Interjet from YYZ to CUN on December 27th. I am trying to find out if I have to pay a departure tax upon leaving Cancun or does Interjet build it into their price?